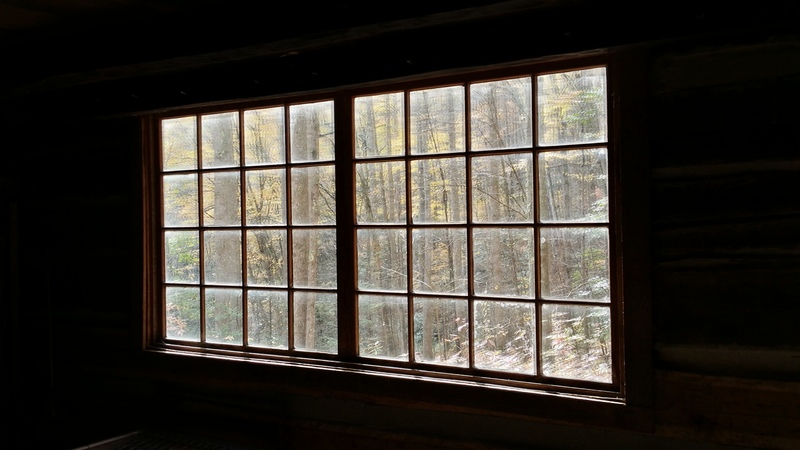 A Little Smoky Mountains History and…Da Bear! Made the 1.25 mi. hike up Jakes Creek to the Avent cabin. You have to turn off onto an unmarked trail to reach the site. Kinda tricky since it was our first time here. 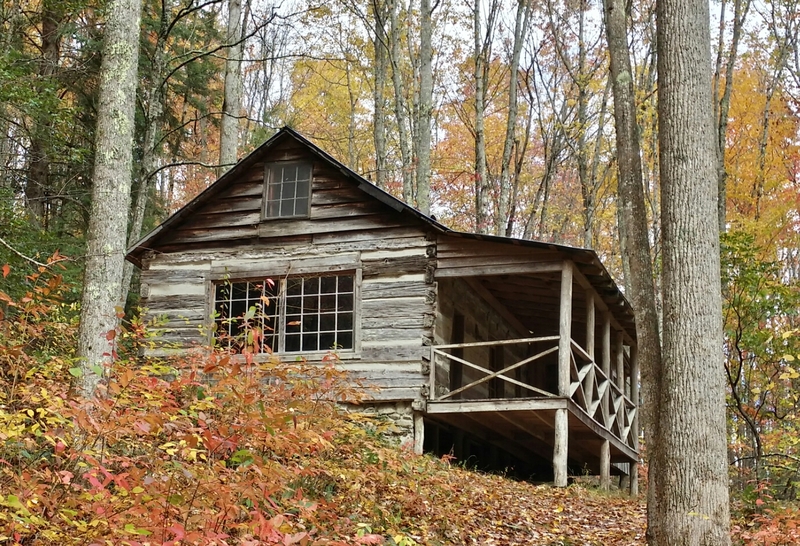 Mayna Avent, one of Tennessee’s most esteemed artists who’s work is on display at the Smithsonian, used this tiny cabin as her studio for 20 years beginning in 1919. Loonie, being the artsy-fartsy type, thought this was all so cool. Light rain on the way back to the van. 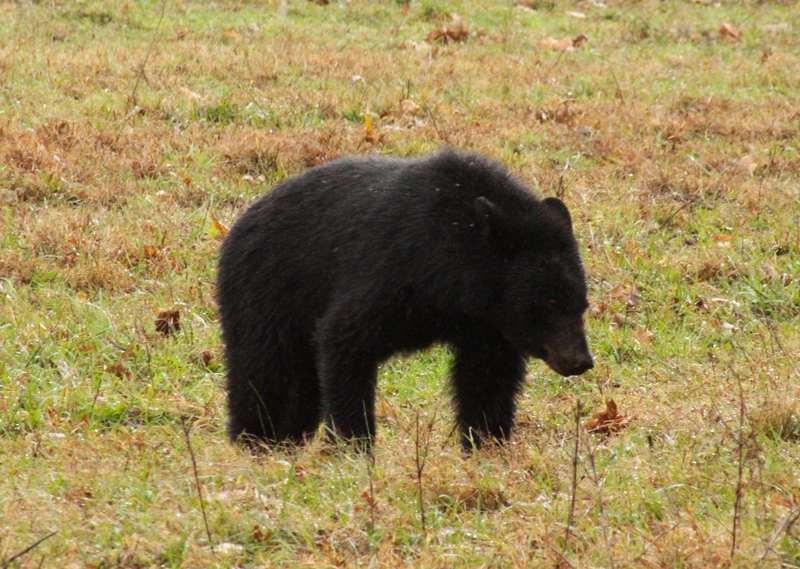 Decided to make one more trip to Cades Cove in the hopes of seeing more bear. No sooner than we enter the loop one comes walking by. Not all that big – maybe 120 lbs – but still cool to see one that close. Got a bit too close for comfort and by this time cars are starting to show up behind us so we got back in the van and moved on. Other than some deer and turkey, that was it for wildlife. Skies did clear up and it turned out to be a beautiful evening. 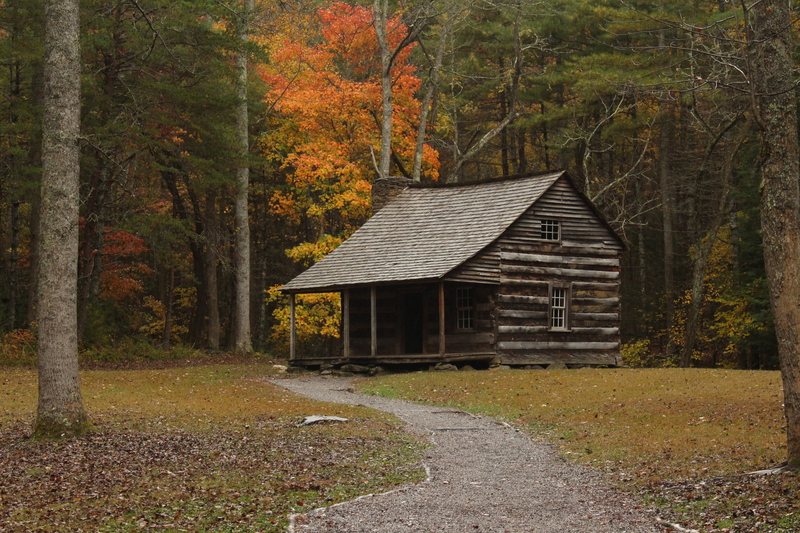 We did get some shots of the Carter Shields cabin – only building on the loop we hadn’t stopped at before. Tomorrow’s our last full day. I think we’ll finally make our way back up to Cosby and do the hike to Hen Wallow Falls again. Then stop off at Greenbrier and hike up Porters Creek. Hopefully the weather will cooperate.